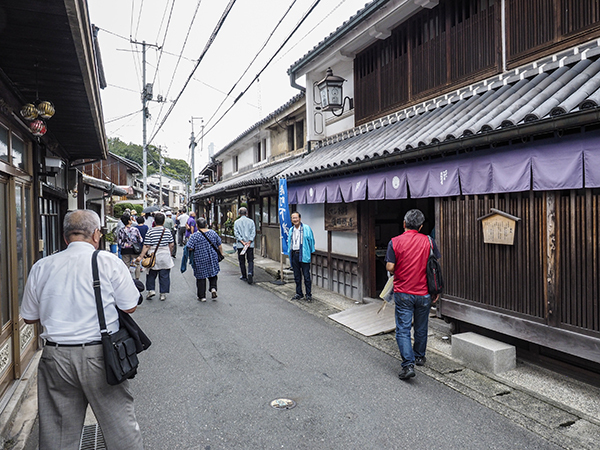 For this year’s annual study trip, we traveled to the historic harbor town of Shimotsui in Okayama Prefecture. Once a key juncture along Japan’s prominent coastal trade route along the Seto Inland Sea to Osaka, Shimotsui’s prosperity slowly faded with the march of time. Now it sits in the shadow of the Seto Ohashi Bridge – a modern-day thoroughfare ferrying people and goods from the mainland to Shikoku. We met our tour guides who took us around the town. First, we saw the town’s old wells that for hundreds of years provided the townsfolk and anchored boats with a vital supply of fresh water. The town center with its period houses had a similar feel to Mitarai’s historic streets. 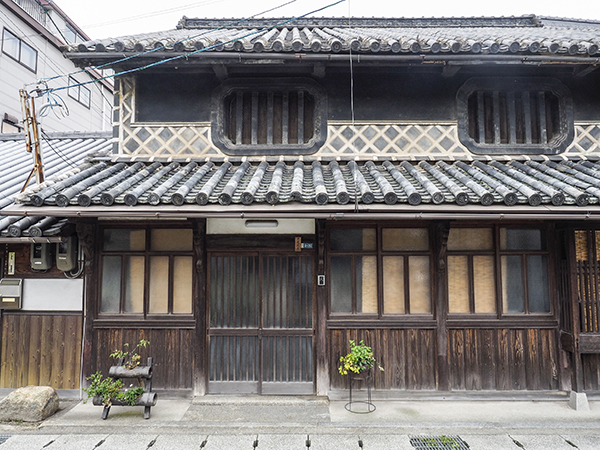 The focal point of the tour was an Edo period trader’s house. The building had been renovated into a beautiful museum explaining the trade route to Osaka and Shimotsui’s role within that trade. For lunch, we went to the Bizenya Koshi – an impressive hotel complex just outside Shimotsui with spectacular views across the Seto Inland Sea. 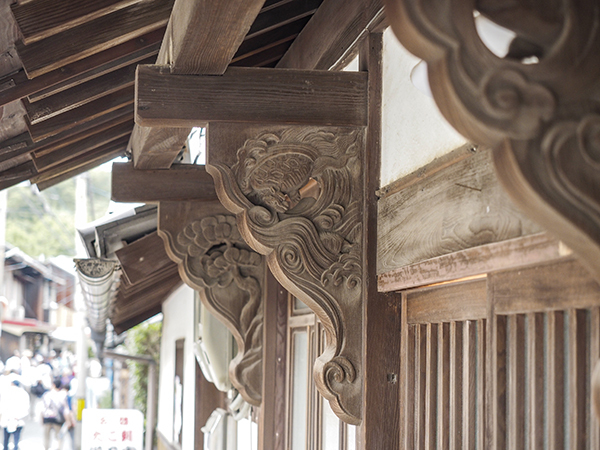 Like all historical towns, Shimotsui lost parts of its heritage to modernization. Like the old waterfront, aspects of its history lie buried under layers of tarmac and concrete. But it is clear the current residents are doing all they can to preserve what is left. Wandering the streets of Shimotsui and enjoying the peaceful atmosphere, all made for a thoroughly entertaining and thought-provoking trip. In 1994, Mitarai was designated as an important historical heritage site to be preserved by the Japanese government and this group was created by Mitarai's residents that same summer. 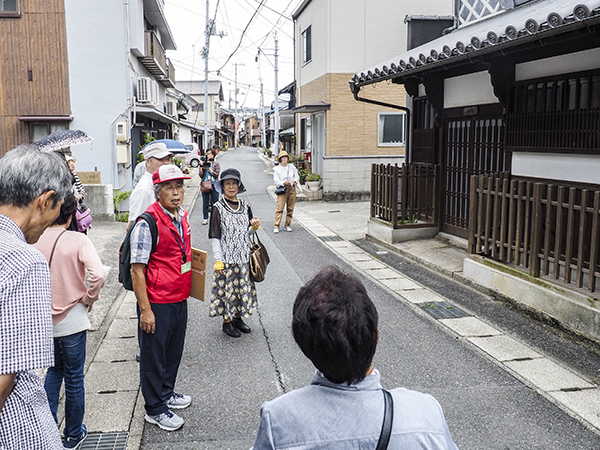 By continuing to ask themselves what it means to be an important historical site, the residents of Mitarai have taken it upon themselves to protect and revitalize their town.